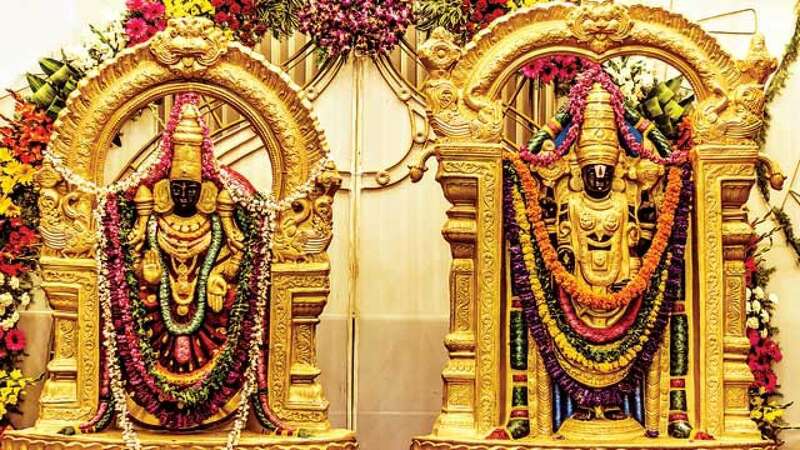 Feb 3 (AZINS) Three golden crowns, collectively weighing about 1.3 kg, were reported missing from Sri Govindaraja Swamy temple at Tirupati, its officials said on Sunday. The crowns adorned the statues of deities Lord Venkateswara, Sri Lakshmi and Sri Padmavathi at an ancient shrine inside the temple complex. They were reported missing on Saturday night, a security official of the Tirumala Tirupati Devasthanams (TTD) told PTI. Surveillance camera footage was being examined to track the culprits, he said. The TTD has also filed a complaint with police who have started a probe, he said. Police said they have registered a case but no arrest has been made so far.